There are probably hundreds of ways to consume hash or marijuana. If you break down the various methods by the tool used, that is. 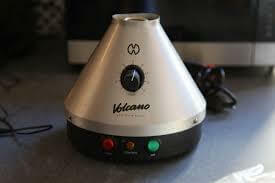 You can smoke it, vaporize it, eat it, drink it, and even rub it on your skin. In this article, we’re about to show you 10 different ways of consuming cannabis. Let’s see which your favourite one is. 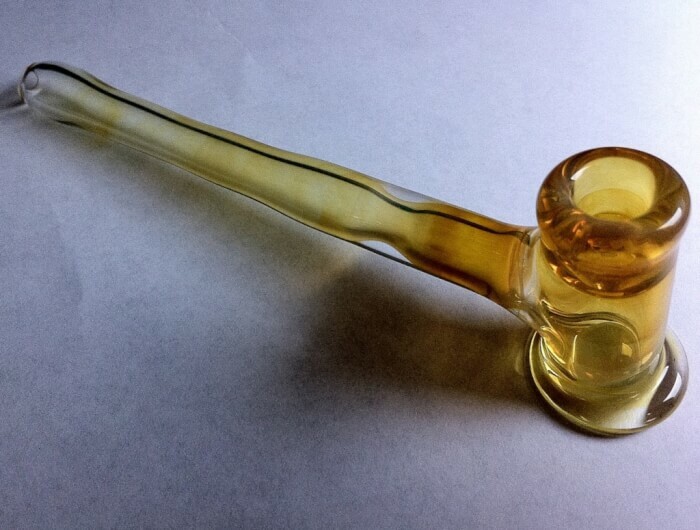 A good piece of glass is something that no stoner should be without. Glass pipes are almost synonymous with stoner culture – and some of them are works of art. An art show in Philadelphia is dedicated to glass pipes, bongs, and rigs, one of which boasts a worth of $250,000. Vape pens and mods now come with cartridges that are one-time use as well as those that can handle dry herbs, oils, and other concentrates. More subtle than a joint, it’s just as portable. And there’s less of that tell-tale smell when you vape your cannabis. Call it wax or shatter or dabs – either way, you’re smoking – or vaping, likely – cannabis concentrates. You can purchase a dab nail or a specialized rig to vape these awesome concentrates – or you can buy a pen vape ora mod with a tank especially created for concentrates. Either way, you’re getting more bang for your buck than with simple buds. 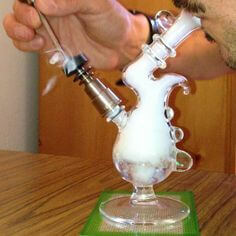 Whether they are water bongs or gravity bongs – bongs are another tool in most stoner’s arsenal. 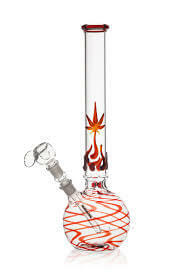 Popular because they allow for water or ice to be put in the bottom, cooling the hit of smoke, bongs are another popular item for marijuana consumption. The form most often associated with stoners – the rolled marijuana cigarette – the joint. Great for being on the go, but don’t just discard the roaches in the ashtray. Break them back up for another joint or break them up into a bowl. “Pot Brownies” or “Space Cakes” are popular names for this oft-used method of ingesting cannabis. Though, it is not limited to cookies or brownies anymore. Marijuana butter can be used to make anything from bread to pizza dough – the sky’s the limit with cannabis. Also known as dab rigs – these look a lot like your typical water bong. 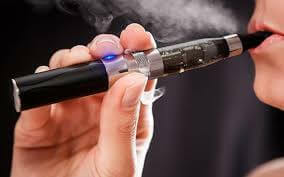 Except there’s a dab nail or chamber that must be heated to release the vapours for you to inhale. They can be clunky because there are moving parts that you have to manoeuvre. We separated this from pen and mod vapes because it is a different method – technically – of ingestion. Instead of drawing straight from a mouthpiece – a desktop vaporizer is used to fill a balloon, which is then inhaled from. You can also draw from plastic tubes, called whips, making the experience somewhat like a hookah. While this might get you buzzed, it’s not recommended. Heat is essential to the cannabinoids being released. However, too much heat and you just carbonize the cannabinoids you want. Eating it raw is one of the slowest methods towards feeling better. 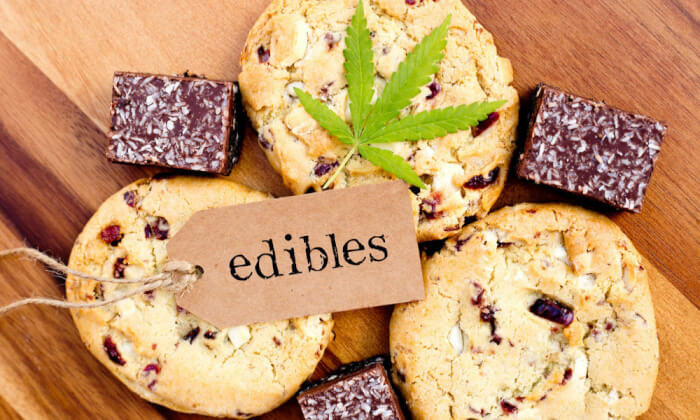 Edibles have at least been exposed to heat (usually in the baking process) so the cannabinoids are released. 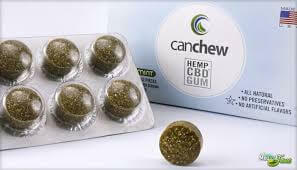 Similar to the nicotine chewing gum that is popular among people trying to quit smoking – AXIM Biotech is researching the potential for time-release THC chewing gum. It will deliver both THC and CBD (THC, is responsible for the high that comes from ingesting marijuana, whereas CBD is responsible for many of the healing effects) – but without the psychoactive effects.